This major event developed for the life sciences and health technologies sector provides life sciences researchers, companies and stakeholders with a unique opportunity to network, build relationships business, participate in inspiring conferences and discover industry news, all in a stimulating experiential environment. 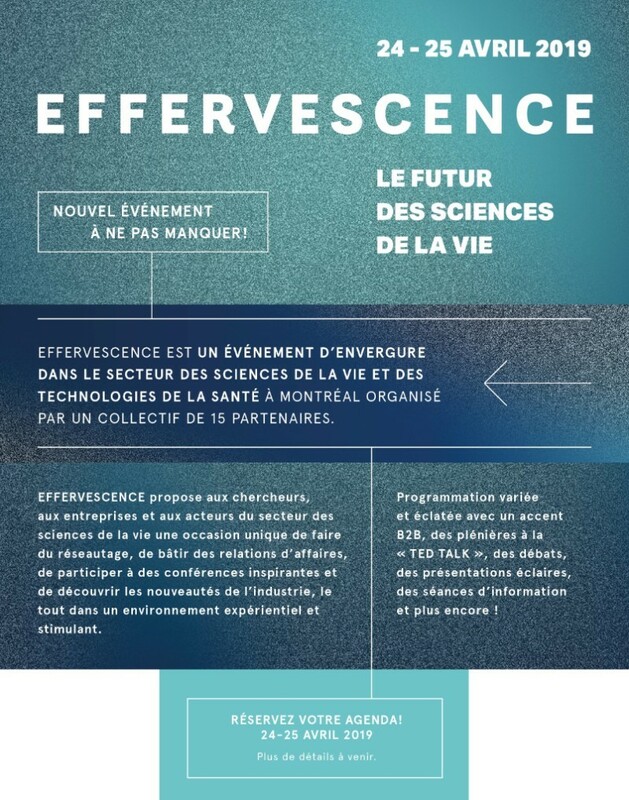 Inspired by the effervescence that the sector is currently experiencing, EFFERVESCENCE will serve as a local forum for researchers, an opportunity for meetings to foster the development of partnerships between public research and businesses and privileged meetings, for all actors in the sector. Stay tuned: more details on the event will follow!